Sony has created a forum posting on the PlayStation website filled with tips to help get non-responsive PS4s up and running. One of the occasional joys of buying a new console at launch is getting it home, breathing in that new console smell and then having the thing just plain not work after you plug it in. That in mind, while the launch of the PS4 has largely been successful, some early purchasers are apparently experiencing an uncommon issue where they attempt to boot the console up and the only response they receive is a pulsing blue light. There have been cases of this both occurring straight out of the box and also while the console is in operation. While Sony has yet to release an official statement addressing the "Blue Light of Death," as some have taken to calling it, the company has recently released some troubleshooting tips on its forums to try and assist consumers experiencing the problems. According to the forum post, there are several potential issues the company believes could potentially be at the root of the problem, including: TV compatibility, problems with the console's power supply or hard drive, or "other" issues with the hardware/software. "Some users have indicated that updating the firmware on their televisions has resolved some cases of no audio/video being displayed," said Sony, in reference to the TV issues. For potential power supply problems, it recommends checking the power cord to see if there's any "damage or anomalies" at the connection point and even swapping the PS4 cord for a PS3 one "to see if that resolves the issue." 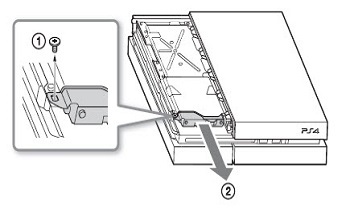 In the case of the hard drive, the company suggests opening the console to see if it's loose or damaged. Users could apparently even attempt to replace it if they have the desire and a compatible hard drive. If everything seems in order and the PS4 still isn't responding, Sony suggests booting it in Safe Mode to try updating the software which could also be at fault. It included instructions for doing this in the forum posting. Of course, if all else fails, it recommends contacting its customer support to receive official assistance.